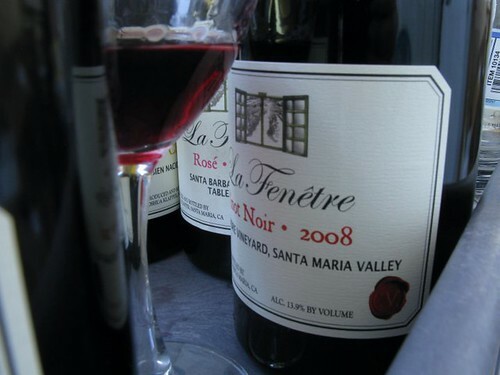 In celebration of their fifth vintage, La FenÃªtre wineryÂ will be hosting a wine and food pairing in downtown Los Angeles on August 14th, 2010 at the Learn About Wine Loft. Sommelier-turned-winemaker Joshua Klapper will be on hand to launch the release of his 2008 vintage, which consists of eight small-lot Santa Barbara County wines. Chef Neal Fraser (BLD/Grace) will prepare a small plate to complement each of the wines’ unique flavor profile. Eight wines will be showcased, including a first-everÂ rosÃ© – of which only 24 cases have been produced, three chardonnays, three single-vineyard sourced pinot noirs and a syrah. Founded in 2004, La FenÃªtre focuses on expressing classic Old World style and technique with modern sensibilities. Klapper aims to select grapes of the highest quality. Amongst his vineyard sources is Bien Nacido Vineyard, recently named California Vineyard of the Year by the California State Fair. What better way to try beautiful wines and get your Grace fix before they re-open downtown? I had first met Barrie Lynn of The Cheese Impresario over planning for Blogger Prom. Our party was so swank, you would bring your cocktail over from the bar to Barrie Lynn – whereby she would taste a straw-full of your cocktail and pair the appropriate cheese to the libation in your glass. If you have cheese in any capacity at your party, you better have Barrie Lynn there. 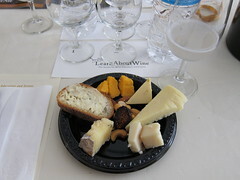 The other day I was invited to the Learn About Wine loft in Downtown LA … to learn not about wine but about sake and its compatibility with cheese. Sake and Wisconsin cheese has been her recent breakthrough – a proclaimed “culinary epiphany.” I have to say, “Wisconsin cheese” is not a phrase I pass up on, ever. 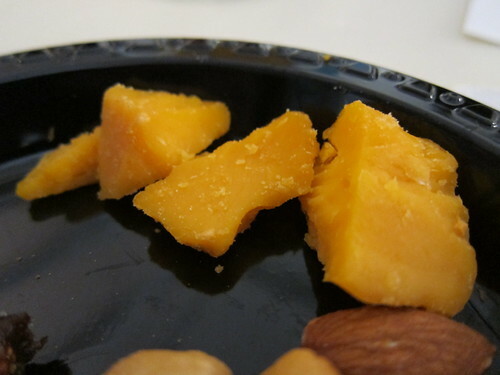 Let’s also say that my entire life I’ve always lived in The Cheese State, whether in the Midwest or on the West Coast. Kei Inoue of Banzai Beverage was Barrie Lynn’s partner in crime, the liquid to her solid. He represents not one but many distributors of sake. Since my knowledge of sake was at 0, I was appreciative to get a lesson in what puts a good sake ahead of the others. Since sake is 80% water, water is the most important ingredient and indicative of the different regions of Japan and the quality of sakes that arises from each. Also important is how much the rice grains are polished. The more that is polished, the more amino acids – which taste poor when distilled – are shed from the brew, and the more refined. And right out of the gate, even the little that I knew about sake was thrown out the window when I realized that they gave us a sparkling sake to start. It was delicious and refreshing – and merely a prelude to the eight to come. I had never had a dark sake before, but that’s exactly what we started with. The Mt. 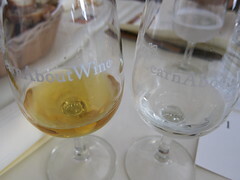 Victoria Old Fashioned Vintage Junmai had caramel and even almond notes due to it having been aged – a really complex sake that served as an aperitif. Or perhaps to contrast with the ultra smooth Junmai Diaginjo sake to come, called Legend of the Stars. About 60% of the rice grain was polished away for this brew (as opposed to 30% of the last, aged sake). 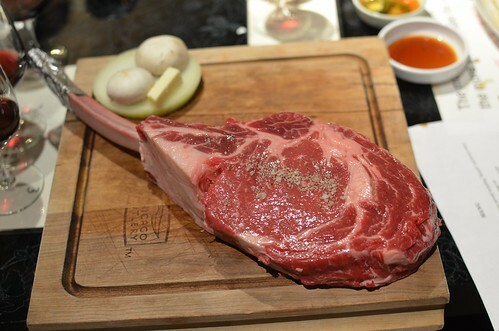 It would go well with seafoods, as it was still stimulating – very fresh. But finally, oh finally – we would get to the cheeses!! Hallelujah.